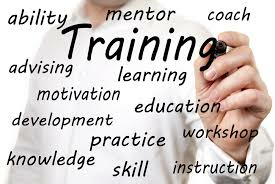 Copar's Deep Dive Training offers on-site 2 day comprehensive training that will cover basic screen operation, corrugator 101, proper procedures, housekeeping, maintenance repairs, calibrations and troubleshooting. Copar suggests a centrally located plant for the training facility; invite Neighboring sites personnel such as Operators, Maintenance and Corrugator Supervisor’s. All attending sites are encouraged to provide a comprehensive complaint punch list. We are looking for ALL issues or complaints including housekeeping or excessive maintenance requirements. Copar’s service and engineering departments will be working in concert with the seminar to assist in resolving the punch lists items as submitted by the attending sites. Early submission of the punch list is required to be included in the seminar. We request the use of a conference room for the entirety of the seminar and 2 hours of corrugator downtime for hands on calibrations, testing and housekeeping. Copar will provide 2 or more of the trainers listed below for 2 full days of classroom and hands on training. Contact the service manager 708-496-1859 to schedule your training today.